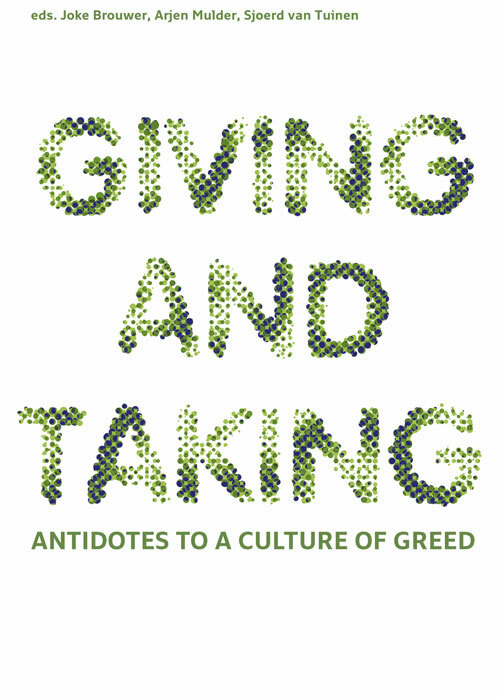 'Giving and Taking, Antidotes to a Culture of Greed' is a collected effort to establish the significance of the so-called non-pecuniary value of art and society. In the broadest sense of these terms: what is art about and after? What if the exchanges we call economic were part of a much larger, far older and more diffuse system of exchange? What if value were defined not by accumulation but by circulation, and circulation not by supply and demand but by honor, glory and beauty? If we need an answer to what's the real value in society and in art – and we need that answer urgently – why not ask philosophers, anthropologists, aestheticians, sociologists and others who have proven to be part of the same quest? The problems facing us in the 21st century, moving towards a “peak humanity” of 12 billion human beings in 2072, are mind boggling and nerve wrecking. Global warming is only the fun part of the ecological devastation that will leave us with a world of dead Zen gardens everywhere. What are we doing, and why aren't we doing it better? 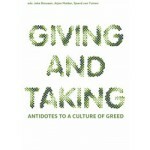 In the book 'Giving and Taking, Antidotes to a Culture of Greed', a diverse set of authors share a strikingly similar analysis. The crisis of our institutions of government, finance and knowledge, they argue, should be attributed not to a lack of political will but to a lack of glory and honor – categories that have been linked to gift and sacrifice from time immemorial. With texts by Peter Sloterdijk, Michel Hénaff, Zygmunt Bauman, Joris Luijendijk, Frank vande Veire, Henk Oosterling, Lars Spuybroek, Reimar Shefold, Lewis Hyde, and Arjen Mulder.